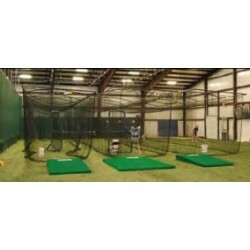 Shop our commercial grade baseball and softball batting cages perfect for school, college and professional training facilities. Free Shipping on all orders! GARED’s new line of OUTDOOR BATTING AND MULTI-SPORT CAGES are a great addition to any baseball field, practice facility, training camp, or driving range! 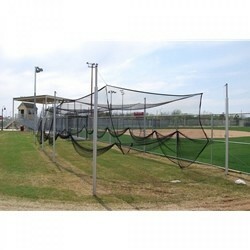 Model 4081-55 Batting Cage is an electrically operated practice cage that conveniently suspended from the ceiling structure for easy use and storage. 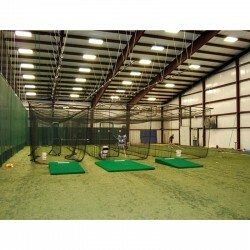 Model 4080-55 Multi-Sport Cage is an electrically operated practice cage that conveniently suspended from the ceiling structure for easy use and storage. 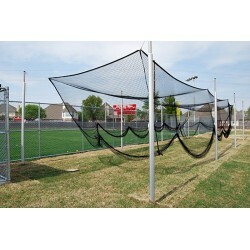 Model 4080-70 Multi-Sport Cage is an electrically operated practice cage that conveniently suspended from the ceiling structure for easy use and storage.